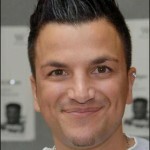 In the other corner we have Peter Andre. Sometimes musician and ex-husband of Katie Price; no wonder there is a feud. Andre is launching a perfume called “Unconditional” aptly named after the first single on his new CD. Interesting cross marketing, however here is where things begin to falter. When asked to describe his new scent he described it as smelling like Lilly Allen if she were a perfume. The problem of course is that anyone familiar with the drunken debauchery of tabloid darling Lilly Allen probably doesn’t want to smell like her.